Our readers are amazing. Full of passion and commitment. His systems of choice are building for years and are fruits of love and seeking. It's a long story. I'll try to summarize forty years of history in a short e-mail. When I was sixteen, in the early 1970s in Japan (my mother is Japanese), I bought an Akai (no longer in business) reel to reel tape deck, plus a headphone to listen to it (I couldn't afford amplifiers and speakers). This system sounded really good to me at the time with pre-recorded tapes. Maybe I was already a bit eccentric, since very few people, even then, listened to reel to reel tape decks. The current revival of these machines makes me very nostalgic. Amazing to reflect now that I had apparently already discovered at that age the primacy of the source. Then, many years later, in the early 1980s in Norway (my father is Norwegian), when my tape deck was history, I bought the American speakers DCM Time Window, relatively inexpensive, with Phillips speaker units, one of the first speakers on the market, I believe, to be "time and phase aligned". Its impulse response as measured was very good, and this could be heard. All in all, good sound for the time and the price. The rest of the system was mid fi Japanese, not very interesting, except maybe the Technics SL-10 turntable (for its design, if not its sound), which was no larger than an LP. I had discovered the second principle, the primacy of the speakers, which create the character of the system, being the most individual sound in any system. When the CD was introduced, also in the early 1980s, I (perhaps because of my reel to reel tape and LP experience) was very skeptical about the CD's sound quality, and did not buy a CD player until almost ten years later, in the early 1990s in the Netherlands (Kenwood L-1000D, the rest of the system being the Kenwood L-1000T tuner, L-1000C preamplifier, and L-1000M power amplifier, the L series being Kenwood's then attempt at a "higher end"). The preamplifier, despite its relatively low cost, was fully balanced (unusual at the time). This started my obsession with fully balanced equipment (and with "coherent" systems). The tuner was really excellent, and the star of the bunch. 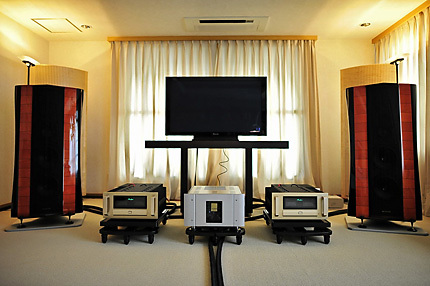 The Kenwood (Trio in Japan) L-1000 series were apparently manufactured by Accuphase (Kensonic) for their "sister" company Trio, see the following link: http://www.diyaudio.com/forums/solid-state/83565-modding-kenwood-l-1000-m.html. 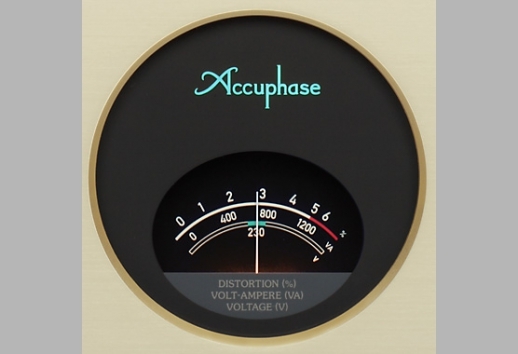 I did not know this at the time, nor when I bought my current Accuphase collection. I found this out today, researching the Kenwood series for this e-mail on the internet (amazing what you can find out with Google). It seems that here, like with many other things in life (for example, I grew up in Japan, left in the early 1970s, never returned to Japan to live, until my company transferred me back to Japan in late 2006), things eventually come full circle, even if it sometimes takes a long time for the symmetry to become evident. 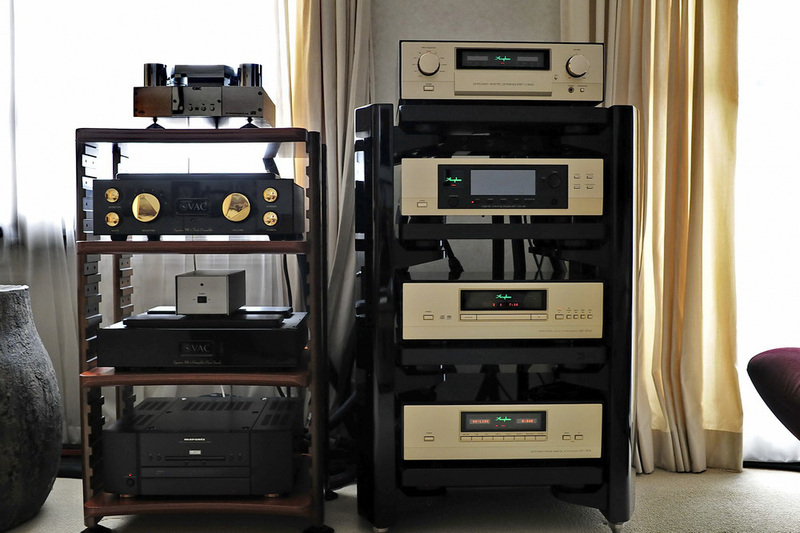 My first jump into the "high end" was a big one for a relative neophyte, and started (and my obsession with speakers continued) with my purchase in Italy in 1992 of the Sonus Faber Extremas (also "time aligned", with a first order crossover), wonderful speakers, if a little bit "extreme" (eighty kilograms each with stands, and this for a "mini" monitor! ), very difficult to drive, and very finicky. If anything in the system was slightly "wrong", you heard it with the Extremas. While the bass was "impressive" for their size, the really low bass was actually missing in action, and what bass which did exist was actually not very well controlled (partly depending on the amplifier, and partly on the setting one chose for the passive ABR (auxiliary bass radiator) in the back). Despite their flaws, the Extremas were, when they were "on song", spectacular, especially with vocals. I assume this was because of the lack of any capacitors in the crossover, the capacitors being replaced with resistors (!) and heat sinks (!! ), which i believe is an unique design, one which I have never seen replicated. To this day, I regret selling the "special edition" and unique Extremas (they were only produced in limited quantities, and never replaced with a newer model) in 2000 (just to try something different, the Vienna Acoustics Mahlers (probably to try to get better bass quality), every one of us does something really stupid sometimes). The Mahlers were musical, but ultimately not the best treble quality. They were certainly not unique and special in the way the Extremas were. Whenever I see a picture of the Extremas on the internet, I get tears in my eyes. For reference, see: http://hometheaterreview.com/sonus-faber-extrema-loudspeakers-reviewed. I definitely missed the Sonus Fabers in general, which I found very musical, and, since the Extremas were no longer being produced, I opted for the Sonus Faber Stradivari Homage speakers when they were introduced in 2004. I still have them, and barring any unexpected events, I intend to keep them forever (this time I won't make the same mistake I made with the Extremas). Now that Franco Serblin has left Sonus Faber, I don't believe the new Sonus Fabers will have the same magic as the classic Sonus Fabers had (the Stradivari being, in my opinion, the last of the "real" Sonus Fabers). Objectively, the Stradivari are much better speakers than the Extremas (as well as better looking), but the very special Extremas will nevertheless always retain a special place in my heart. The Sennheiser 800 headphones I use to listen to movies late at night, in order not to disturb the neighbors. At around this time, I started to become interested in cables. 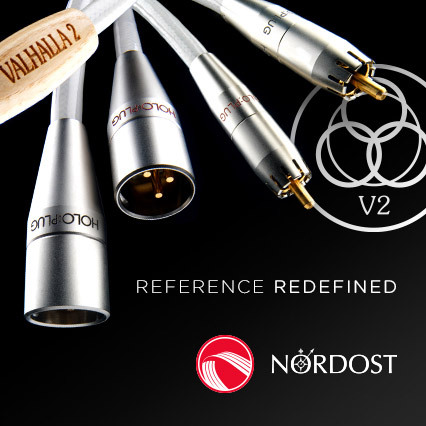 I've tried numerous cables over the years (including the very interesting "non cable", the Fadel GoldLine, which utilize metal bars instead of cables, the best looking speaker "cables" I've ever seen, and the smoothest sound I've ever heard, but fatally flawed due to lack of dynamics). Finally, after many years, I seem to be reaching some sort of conclusions for myself: balanced is better than unbalanced (all my cables are therefore balanced), shielded is better than unshielded (the Purist Audio cables I have are fantastically shielded, the XLOs were unshielded, and could become very noisy in circumstances), copper (my Purist Audio 20th Anniversary cables are a gold/silver/copper mix, I believe, except for the power cables, which are pure copper) is generally better than silver (although I would like to try the all silver Purist Audio 25th Annniversary cables), a coherent cable loom (all cables from the same manufacturer and model) is better than "mix and match" (thus all my cables are Purist Audio, except for some Wireworld for the Pioneer plasma screen), and "upstream" cables are more important than "downstream" cables. Thus, power cables (which are more "upstream" than anything else) are thusmore important than any other cables, in my opinion, even "upstream" signal cables. All my power cables (again, except for Wireworld for the plasma) are Purist Audio 20th Anniversary and Canorus. I also started to become interested in stands. I've tried numerous stands over the years, including the Arcici air suspension rack (generally much better than cones, despite cones being described as "mechanical grounds", but very difficult to maintain level, as the air kept leaking out, and a continuous pumping process was necessary). One very popular maple stand, made by Finite Elemente, I sold after five minutes of use, its negative effect on the sound of my system being blindingly obvious even after such a short time. Their Cerabase feet (with ceramic ball bearings, allowing movement to compensate for vibrations) are very good, though, and I still use them under my old Polycrystal stands for the Accuphase PS-1220 power supplies. The HRS stand I now own is superb, although it's extremely heavy and expensive, as well as difficult to level for the transport (the shelves having compliant feet, which make the leveling a pain, but this is a one-time process). Active stands which use micro motors to level components are potentially interesting, but I haven't tried them yet. In addition to cables and stands, power is crucial (being the most "upstream" element in any system), so I started using Fadel (+115 VAC and -115 VAC resulting in the differential +230 VAC, balanced again!) isolation transformers to clean up my system power. They had a positive effect on my system, and I did not find that dynamics were reduced (as many writers claim for similar products). The trick to avoiding these negative effects, I believe, is to oversize the transformers by at least two to three times the actual power need. Thus, I eventually ended up with a Swedish balanced isolation transformer of 6kW. But transformers, even if balanced, are passive devices, and cannot correct the heavy distortion in the power line (my Tokyo apartment's power is showing 7% distortion (according to the meter on my Accuphase PS-1220), and this is after a 6kW balanced isolation transformer, so I purchased an active PS Audio power regenerator (the original 300), which had a fantastic positive effect on my system's sound. 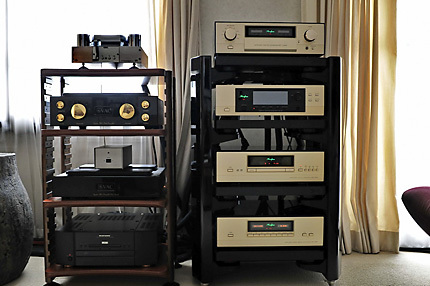 I continued with the PS Audio 600 for all my upstream components, then replaced the PS Audio with three Accuphase PS-1210s (upstream plus power amplifiers and plasma screen), so that my whole system could drink clean power (you wouldn't drink untreated tap water, would you?). Active is definitely better than passive. I am very skeptical about all these expensive passive "power conditioners" like the Shunyatas, how can they possibly correct 7% distortion on the power line? Short answer: not possible. Finally, I replaced the PS-1210s with the balanced PS-1220s (I feel unhappy without balanced). I never really got into room treatment, but I finally got the (passive) Yter panels, since they visually matched my Stradivari, more than for any obvious acoustic effect (Franco Serblin having a hand in both companies). Again, though, I believe active compensation is better than passive, so I got the Accuphase DG-38 digital equalizer, which I recently replaced with the Accuphase DG-48 (much better than the DG-38, although I don't know why). The DG-48 shows all the peaks and nulls in my room's frequency (and therefore phase) response. I find it difficult to believe that this can be corrected with passive room treatment. Although not digital equalization, I should mention the Meridien 518 digital processor I owned many years ago, this reduced jitter and converted 16 bit to 20 bit, which had a very positive effect on bass response. In its day, a fantastic device, which I still remember fondly.